Splash Guards (Mud Flaps), Front and Rear for 1970-1974 Barracuda or Challenger. 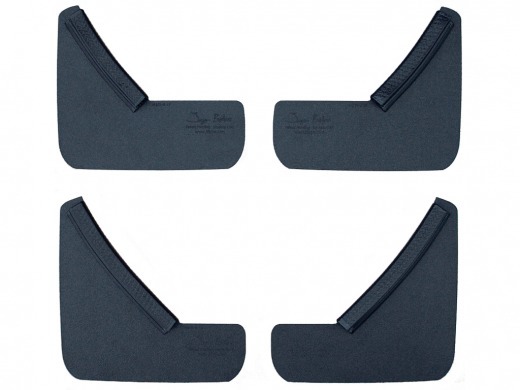 - JFlaps Instant Splash Guards. - Fast installation and removal. - Flexible ABS plastic bonded to soft EPDM rubber molding. - Soft EPDM molding grabs fender edge firmly and securely without additional fasteners. - Works fine on factory chrome fender trim too. - An inexpensive safeguard from stone chips and debris. - All season protection, removes easily for shows and cleaning.